This month’s featured content on Hawaii Health Matters is in honor of Mental Health Awareness month. 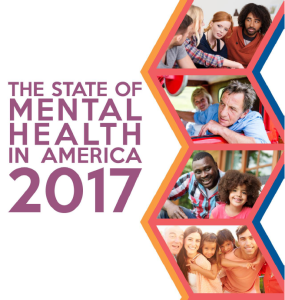 The State of Mental Health in America, 2017, is a chart book of data that provides a baseline for answering some questions about how many people in America need and have access to mental health services. It is a companion to an online interactive data site.